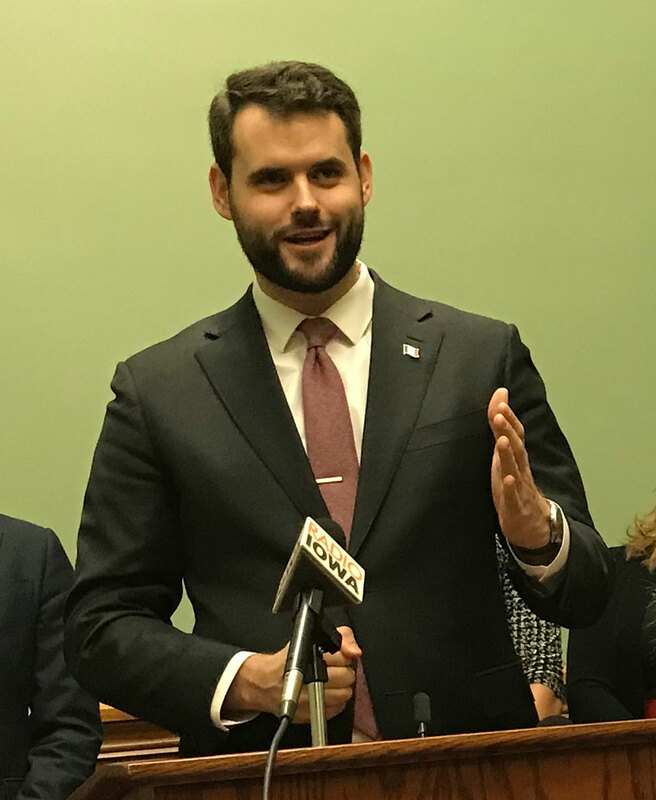 “I think we’ve brought together a good group of lawmakers who are really committed to trying to figure out what are the issues…that aren’t yet partisan and how do we make progress on those issues,” Wahls says. Their initial effort is to focus on ways to grow Iowa’s population and stop the so-called “brain drains.” Thirty-nine-year-old State Senator Zach Nunn — a Republican from Bondurant — is another co-chair of the group. Thirty-eight-year-old Lindsay James, a Democrat from Dubuque, and 21-year-old Joe Mitchell — a Republican from Wayland — are the Iowa House members who are co-chairs of this group. Iowa is the 28th state to join the “Future Caucus” network. The Millennial Action Project has been promoting the effort since 2013. Steven Olikara, the group’s founder, says bipartisan “bridge building” is rooted in the tradition of America’s founding fathers. The Iowa Youth Caucus members met for dinner last night at the Des Moines Social Club and began brainstorming about issues they’d like to tackle. The group held a news conference this morning at the capitol. Six members of the Iowa Senate and at least a dozen members of the Iowa House are under the age of 40.